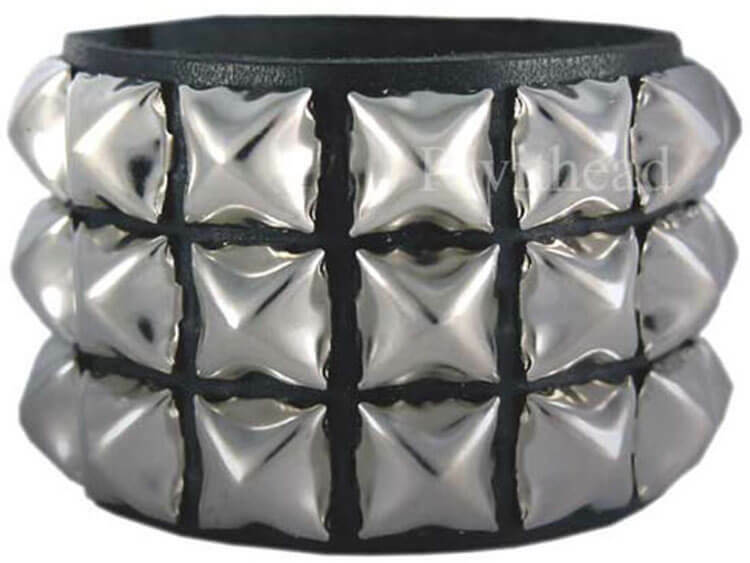 This 100% real leather wristband with 3 row large pyramid studs looks as good as it feels. 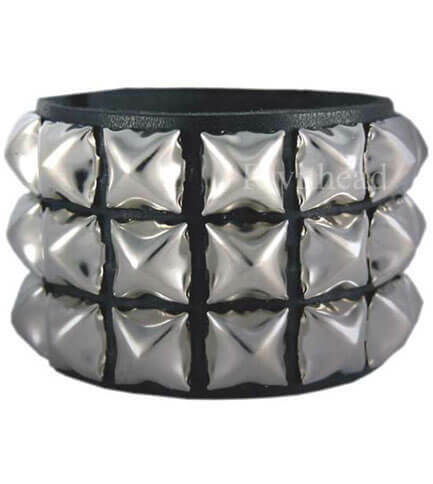 Made from real leather this wristband is durable and will not fall apart. Fastens with a single snap.